For extra peace of mind, let us pack for you. Allowing us to pack can considerably take the stress out of moving and free up a large amount of your time whilst minimising disruption to your home life. It will probably cost less than you think and it will save your time and drastically cut down on the risk of damage. We can offer a wide range of packing services, so you can pick and choose just what you would like us to do. We provide a full or part packing service to ensure that all of your belongings are moved with the utmost protection. We can provide a fragile packing service which involves us wrapping and packing your delicate items (kitchen china, glass-wear, mirrors, pictures and ornaments), ensuring they arrive at your new property in one piece, while you pack everything else. Unlike other removal firms we can provide plastic crate hire for local moves, whether you decide to pack yourself or get our team to do it. Free delivery and collection of the crates can be arranged before and after your move. Specially designed garment carriers mean that any hanging clothes stay crinkle free. 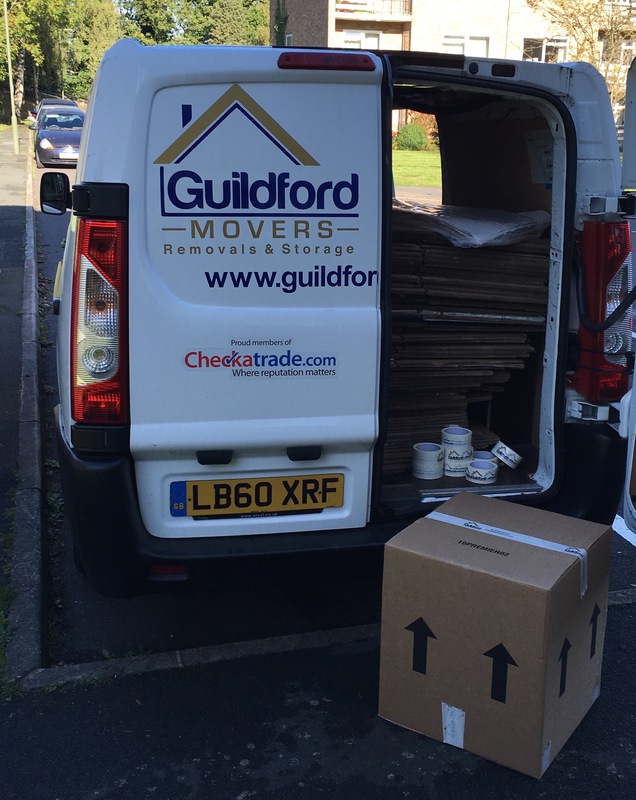 We will provide these boxes on the day of your move for minimal disruption. To find out more about our packing services or to book a free quotation, call Matthew on 01483 600 441 or 07554 376 406.